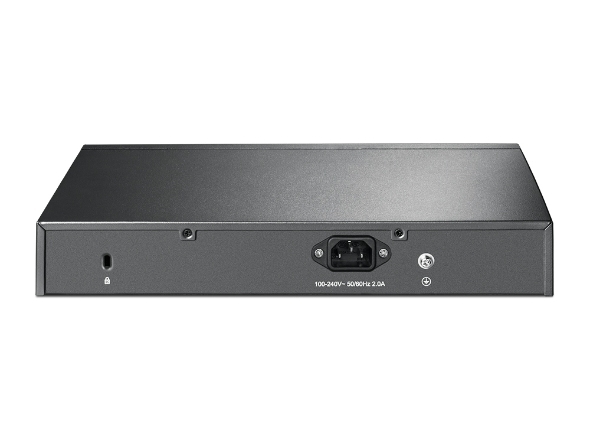 The TL-SG1016PE is a 16-Port Gigabit Desktop/Rack-mountable Switch with 8 ports supporting the PoE+ standard. 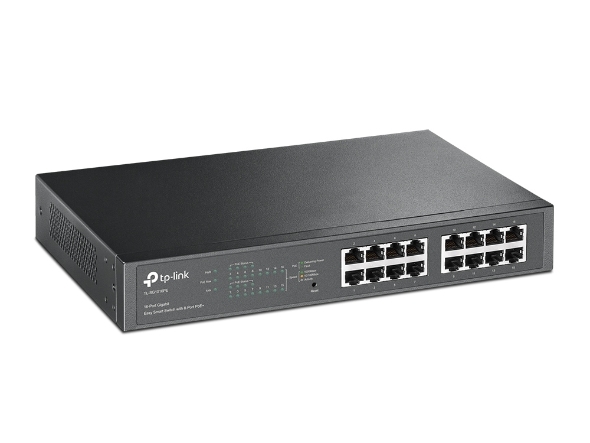 It provides a simple way to expand a wired network by transferring power and data over single network cables. With a total power budget of 110W, up to 30W per port, TL-SG1016PE if flexible to support low power devices, such as wireless access point (AP), network camera or IP Phone or few high-power devices such as high power wireless or PTZ camera. Moreover, with innovative energy-efficient technology, the TL-SG1016PE can save up to 75% of the power consumption, making it an eco-friendly solution for your business network. 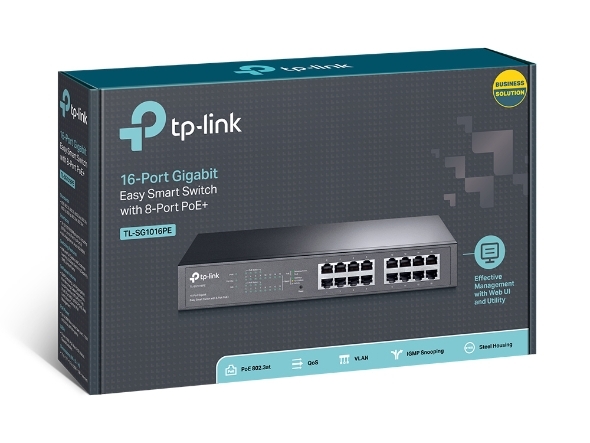 TL-SG1016PE support 8 Power over Ethernet Plus (PoE+) ports, which can automatically negociate and supply appropriate power to any IEEE 802.3af/at compliant device. In this situation, the electrical power is transmitted along with data on a single cable, allows you expanding your network where you want to install your wireless AP, camera or phone and no electric outlet available. TL-SG1016PE is limiting its PoE power supply when its power is over the limit. When accumulated PoE power consumption exceeds 110W, the output current will be automatically limited and a PoE priority mechanism will be kick-in to arrange the priority among the 8 PoE ports. PoE power priority is arranged along with the port number. The port 1 has the highest priority and the port 8 has the lowest priority. This function will help protect the system if the system power becomes overloaded. For example, Port 1, 2, 3, 4, and 5 are using 30w (maximum power per port is 30W), the system power is 110w in total (PoE max LED will be on if all PoE PDs power consumption is more than 110W). If there is an additional PD inserted to Port 4 with 20w then the system will cut off Port 5 power supply to protect the system, this means Port 1, 2, 3, will use 90w, and Port 4 will use 20w, and no power will be supplied to Port 5. TL-SG1016PE is easy to install and use. It requires no configuration or installation. 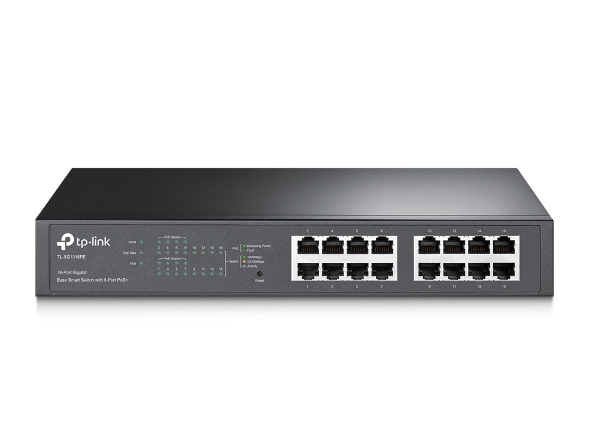 With its Desktop/Rack mountable design, outstanding performance and quality, the TP-LINK TL-SG1016PE 16-Port Gigabit Desktop/Rack-mountable Switch with 8-Port PoE is a great choice for expanding your home or office network. 11.6 × 7.1 × 1.7 in.